Everyone wants to look their best at a wedding, so why not consider five of the top beauty treatments to leave you feeling preened, polished and pampered ? For many brides and their closest friends, the fabulous range of beauty treatments and pamper days to be legitimately enjoyed in the run up to a wedding celebration form a big part of the overall fun. After all, on a wedding day, you’re going to be photographed from every angle, so you need to make sure you’re looking your best from top to toe. If you’re heading off to an exotic destination wedding in Thailand, you will be spoilt for choice when it comes to the multitude of luxurious spas and deluxe beauty salons on offer. Even better, if the wedding is in a private villa, you can even hire your own beauty therapists to come over and pamper you with a few treatments in advance of the big day. 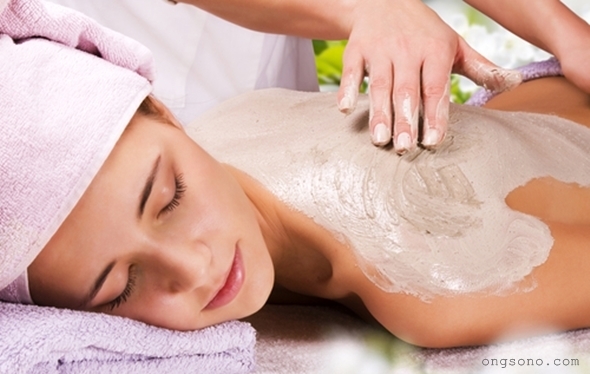 Below is a selection of treatments no bride or bridesmaid should go without. It’s a well-known adage that if you feel great, you look great. For many ladies (and a few modern gents), a manicure is a sure fire route to feeling wonderful – not to mention the fact that if it’s you who is getting married, your hands need to be prepared for the thousands of photos that will be taken of your new wedding ring. For an extra special splurge, opt for a gel manicure – a wise choice if you are prone to chips and scratches after a regular manicure, as they actually strengthen your nails against bends and breakages. Couple in the fact that a gel manicure will give you a long-lasting finish from wedding day until the end of the honeymoon, and you’re onto a beauty winner. For skin that shines even without makeup, it’s important to nourish yourself from the inside out. This is particularly important for a wedding in Thailand where more skin is more likely to be on show thanks to the warm climate. A deep cleansing, full body detox treatment will banish toxins and blemishes, leaving your skin ultra-soft, smooth and most importantly photo-ready. If you want to treat yourself and your bridesmaids to a facial, it’s best to schedule this a few days in advance of the big day in case anyone has a reaction to the products used by the beauty therapist. As well as making sure their skin shines and their hair dazzles, barefoot beach brides and bridesmaids will need to add a nourishing pedicure to their beauty to-do list. The best pedicures also include a reflexology foot massage followed by a vigorous scrub and moisturising mask that will leave you feeling super relaxed. Once your feet are preened and pampered, it’s time to decide on nail decoration. 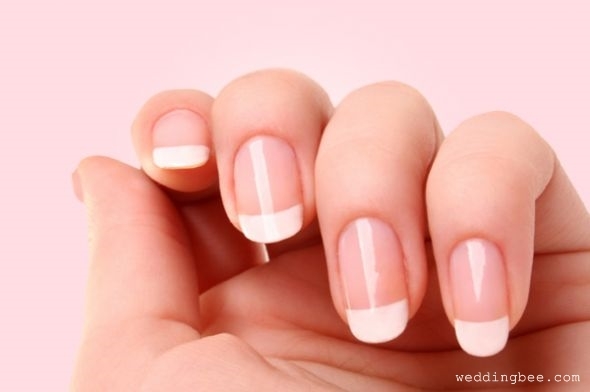 Once again, a gel nail treatment is a good idea for a longer lasting finish. Rather than opting for a colour to match their fingernails, many ladies prefer to add a pop of colour when it comes to their toes. Consider what colours you want to highlight in your wedding outfit when choosing what polish to go for. As much as you might love an afternoon in the hot sun broken up by refreshing dips into the ocean; your hair does not. If you arrive in Thailand several days before the big day, make sure you keep your hair in good condition by applying a moisturising hair mask in advance of the celebrations. You could either have this done at a local salon, or if you’re a fan of organic treatments, you could whip up your own hair mask in your private villa’s kitchen. Make the most of local fresh produce by applying a coconut mask. Take a generous blob of coconut cream and warm it in your hands before massaging it into your hair. 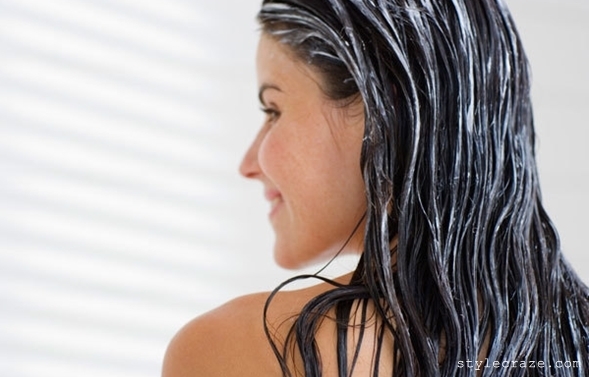 Rinse out with mild shampoo and let your hair dry naturally. When it comes to achieving makeup-free beauty, there are a couple of treatments that are well worth having in advance of a wedding celebration. One of them is an eyelash tint. This fantastic beauty treatment can also remove the need for mascara, which is great if you’re likely to get weepy during the ceremony. 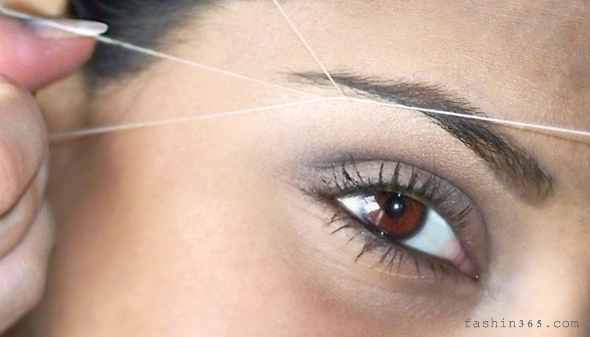 It’s also essential to keep your eyebrows in check, and threading is the ideal treatment if you don’t enjoy having hot wax so close to your peepers. Choosing a professional brow treatment also means that the therapist will understand how to work with your features to create a natural shape that complements your face, rather than giving you a permanently startled expression.